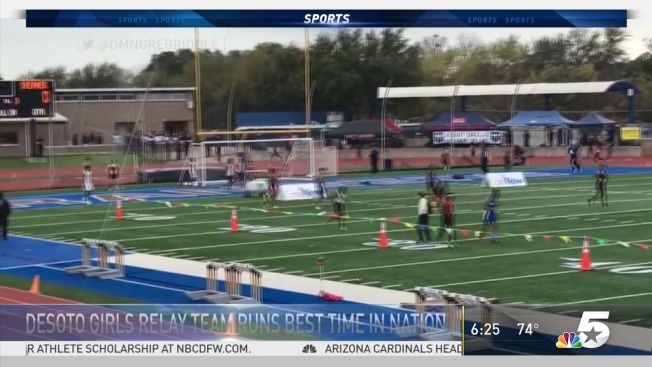 DeSoto is home to one of the nation’s top girls 4x100-meter relay teams. The Lady Eagles set a Jesuit-Sheaner Relays meet record with a winning time of 45.26 seconds this past weekend. That’s the best time in the nation. Despite DeSoto’s success, track coach June Villers says there’s always room for improvement.